How will the CIIE, a brand-new international trading platform, promote the transformation and upgrading of ASEAN-China economic and trade cooperation? The first China International Import Expo (CIIE) will take place in Shanghai from November 5 to 10. As the world’s first import expo, the event has attracted global attention thanks to the unique opportunities China is offering to the world. Naturally, such a grand event cannot succeed without good neighbors. By May of this year, all ASEAN member states had confirmed participation in the event. This will mark the second time that all the 10 ASEAN member states have gathered in China after the China-ASEAN Expo (CAEXPO) in Kunming in September. Southeast Asia is strategically located on the Belt and Road and is a priority in the peripheral diplomacy of China. Since the establishment of ASEAN-China Free Trade Area (ACFTA) in 2010, bilateral economic and trade relations have been continuously strengthened. The total volume of bilateral trade exceeded US$500 billion in 2017. Against this backdrop, how will the CIIE, a brand-new international trading platform, promote the transformation and upgrading of ASEAN-China economic and trade cooperation? China-ASEAN dialogue was first launched in 1991. In July 1996, China became ASEAN’s full dialogue partner. In 1997, the two sides officially announced the formation of a Good-Neighborly Partnership of Mutual Trust Oriented Towards the 21st Century. The “10+1” and “10+3” cooperation mechanisms were successively launched. In November 2002, the two sides signed the Framework Agreement on Comprehensive Economic Cooperation. In 2010, construction of the ACFTA was completed on schedule. In 2016, the two sides signed the ACFTA Upgrade Protocol. Since the establishment of ACFTA, especially since the introduction of the Belt and Road Initiative (BRI), China-ASEAN economic and trade cooperation has greatly improved. In 2016, trade volume between China and ASEAN countries reached US$452.2 billion, 60 times the number in 1991. In 2017, trade between China and ASEAN reached US$514.8 billion. Two-way direct investment reached almost US$200 billion. This year marks the 15th anniversary of the China-ASEAN strategic partnership. In the first half of the year, the volume of bilateral trade increased by 20.2 percent year-on-year. China-ASEAN relations have become ever closer, and the two sides now have inseparable and interdependent interests. Within the framework of ACFTA, economic cooperation between China and ASEAN seized leapfrog development. The economies of both sides are now undergoing internal transformation due to the impact of the international situation. On the whole, however, bilateral economic cooperation is still maintaining strong momentum with highly complementary traits, great potential and broad prospects. First, the highly complementary aspects are making ASEAN the main destination for international industrial relocation. In recent years, China, the world factory, has been undergoing economic structural improvement and upgrading to high-end manufacturing, shifting focus to more high-end work. In comparison to China, ASEAN countries have broader employment markets and larger demographic dividends, which have attracted more and more labor-intensive industries. From this point of view, Chinese enterprises can ride the trend and bring capital and advanced production technology to ASEAN countries. Both sides can strengthen production capacity cooperation and improve the division of labor to complement each other’s strengths while promoting common development. Secondly, potential for bilateral economic and trade cooperation is huge. Presently, imports and exports between China and ASEAN countries are still dominated by goods, with ASEAN countries more dependent on natural resources and agricultural products, the added value of which is fairly low with fairly stable demand. China and ASEAN have realized that the potential for cooperation in trade of services is enormous—ASEAN is able to provide precisely what China needs. After the upgrading of ACFTA in 2016, China and ASEAN renewed their commitment to opening to each other in the third batch of areas of trade of services, further upgrading cooperation related to services. Thirdly, China-ASEAN economic and trade cooperation has maintained broad prospects. Bilateral cooperation in e-commerce has been unprecedented. The ACFTA Upgrade Protocol included e-commerce as an area of cooperation for the first time. As a front runner in cross-border e-commerce, China can utilize its own advantages to integrate existing e-commerce resources in Southeast Asia. For example, Alibaba Group is cooperating with Lazada, a local e-commerce brand, to help its development. China welcomes the whole world to board the train of China’s development to benefit more from it. 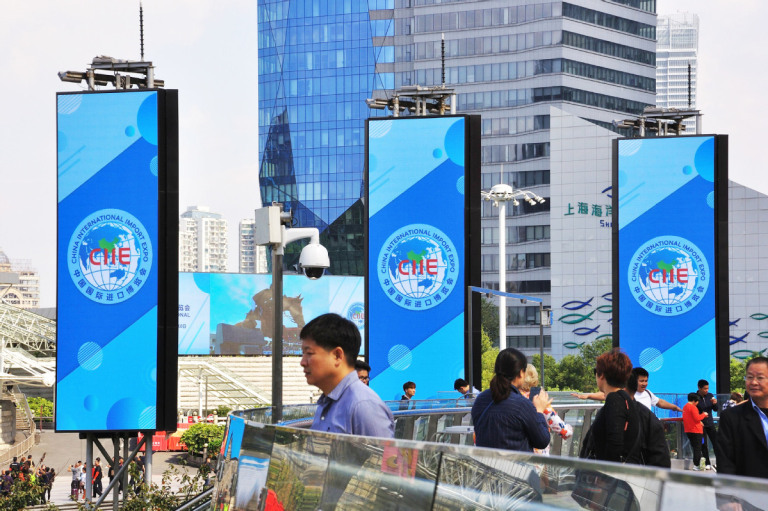 As a brand-new platform, the CIIE will open the door of the Chinese market wider to ASEAN countries and provide them with new opportunities. Secondly, the CIIE is expected to enrich the range of ASEAN exports to China and provide a new growth driver for bilateral trade cooperation. The expo will not only help meet the diversified needs of Chinese consumers, but also promote the transformation and upgrading of China’s domestic industry by expanding imports of high-quality consumer goods and services, accelerating the replacement of old growth drivers with new. Trade in services is expected to be a new growth point for China-ASEAN trade cooperation. Shortly before the opening of the CIIE, China’s first negative list for the trade of services was published in the China (Shanghai) Pilot Free Trade Zone, marking a major step in China’s trade of services. China has a huge market, and ASEAN countries such as Indonesia and the Philippines have mature systems in this area, which will enable the two sides to complement the markets of each other. Malaysia presents a pristine example. During Malaysian Prime Minister Mahathir’s visit to China, China invited Malaysia to attend the CIIE. In the joint statement, the two sides stated that they would launch a bilateral memorandum of understanding on cross-border e-commerce cooperation to provide opportunities for SMEs. 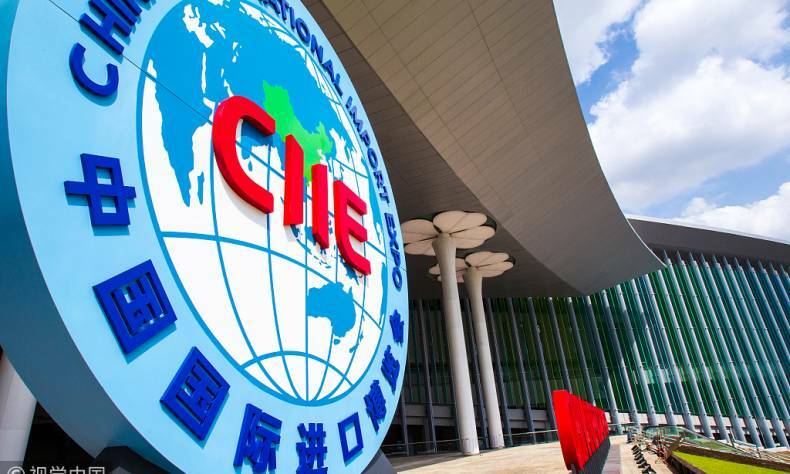 The CIIE has implemented the consensus, providing Malaysia with not only an exhibition area for its agricultural products, but also an area for its smart manufacturing industries. Although China and ASEAN are embracing extensive opportunities in economic and trade cooperation, the fluid international environment of today requires both China and ASEAN to maintain sufficient mutual trust and determination to overcome difficulties together. Protectionism and trade friction from the United States has resulted in uncertainty in the world economy and created a severe challenge for ASEAN and East Asia, which are heavily dependent on trade and investment. However, China and ASEAN countries both have the willingness and the ability to work together to meet these challenges. The CIIE will boost confidence in ASEAN-China cooperation. The Regional Comprehensive Economic Partnership (RCEP) led by ASEAN will promote free trade and multilateralism in the region. “The RCEP is an important signal to the world that ASEAN members and our partners place a high value on free trade, regional integration and international cooperation,” declared Singapore’s Prime Minister Lee Hsien Loong at the opening ceremony of the 50th ASEAN Economic Ministers’ Meeting on August 29, 2018. It is the common aspiration of China and ASEAN countries to promote globalization and free trade. It is also an important strategic consensus between the two sides to oppose trade protectionism. The transformation and upgrading of China-ASEAN economic and trade cooperation is a long-term task. Both China and ASEAN member states should maintain the confidence and determination to ensure it happens. Against the backdrop of the uncertain global economic environment and the changing situation in economic and trade cooperation, the two sides should seize the opportunities presented by this import expo and consolidate existing cooperation achievements, promote the strategic partnership in the new era and build a China-ASEAN community with a shared future. Luo Yongkun is an associate research fellow at China Institute of Contemporary International Relations, and Chen Rongxuan is an assistant researcher at the Indonesian Studies Center of Beijing Foreign Studies University.